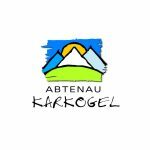 Abtenauer Bergbahnen: Whether summer tobogganing, downhill, mountain biking or hiking in summer, the Karkogel offers a comprehensive attractive program. In winter, the Karkogel- Kombibahn invites you to ski & snowboard, winter tobogganing and outdoor fun activities such as skateboarding or airboarding on the winter toboggan run. If you have any questions, please do not hesitate, to contact us. We are available any time! For more informationen about the holiday region Abtenau informs you the tourismus office Abtenau.